Normally, teeth erupt and grow in a symmetrical alignment: on the top palate, for example, the two central incisors take center stage; on either side are the lateral incisors, and then beside these the canines (cuspids). But what happens when teeth don’t grow in? The result can be a smile that just doesn’t quite look right; more importantly, normal function is impaired because the person can’t grasp and chew food correctly. These missing teeth are the result of a congenital (“from birth”) defect. It’s estimated that almost a quarter of all people are missing one or more wisdom teeth, and more than 5% are missing one or more second premolars or upper lateral incisors. In a normal arch (the upper or lower set of teeth), each tooth type performs a particular role during eating. 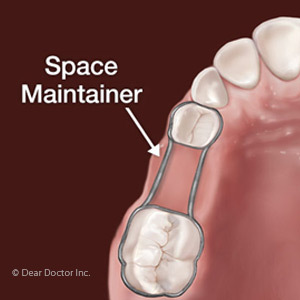 A missing tooth causes the remaining teeth to compensate, but beyond their capacity. The remaining teeth also tend to move to fill in any gaps left by the missing teeth, as when the eye teeth move toward the central incisors in the absence of the lateral incisors. This puts them out of position, so they can’t cover (“occlude”) their counterparts on the other arch and grasp food properly. 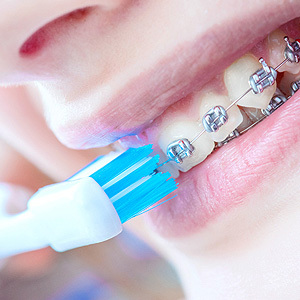 To improve the smile and restore proper chewing function it’s necessary to first move these “out of position” teeth to their correct position through orthodontics. 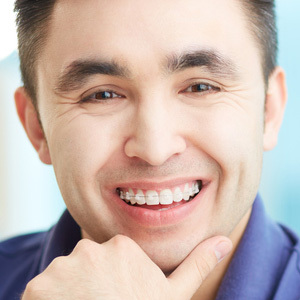 We would then fill the gaps that result with life-like restorations (preferably dental implants with crowns) that resemble the type of tooth that should be there. The restoration needs to be timed carefully, especially for young patients whose jaw structure has not fully developed. If implants are installed before the jaw’s full maturity (usually late teens or early twenties), the implant crowns may not appear to be the right length as the jawbone continues to grow. Since bone growth depends on the normal pressures exerted by the teeth, there may also be insufficient bone mass in the gap area to support a dental implant. Growing bone with bone-grafting material may be necessary before installing implants. The total process could take many months or even years, depending on age and other conditions. In the end, though, the results can be astounding — better function and a vibrant, new smile.